Add Norfolk to the growing list of Jacksonville's peers moving into the 21st century by adding rail transit to their collection of transportation alternatives. 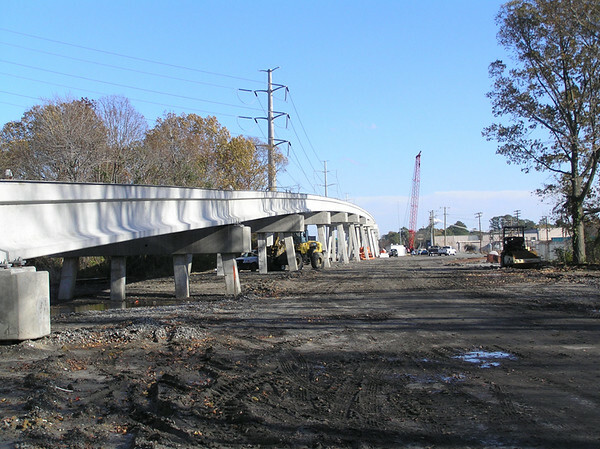 Now under construction, Norfolk's 7.4 mile starter line is scheduled to open in 2010. 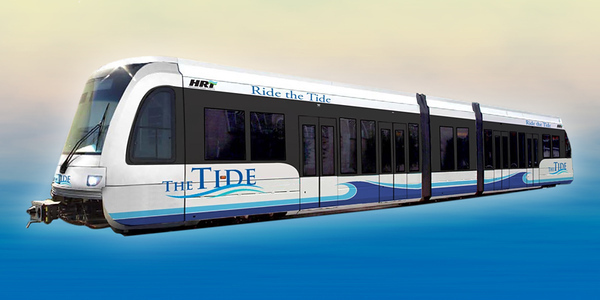 The Tide is a $288 million project proposed to extend 7.4 miles from the Eastern Virginia Medical Center through downtown Norfolk along the I-264 corridor to Newtown Road within the city of Norfolk. Eleven stations will be constructed along the alignment with four park and ride locations. The system is projected to carry up to 12,000 riders daily. 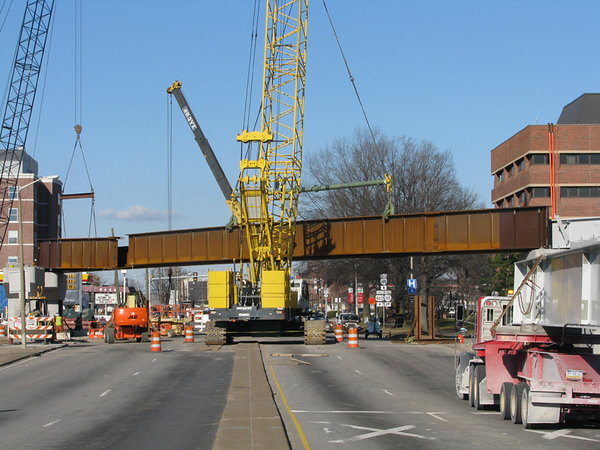 HRT is funding the capital costs of the project in partnership with the Federal Transit Administration, Commonwealth of Virginia, and City of Norfolk. 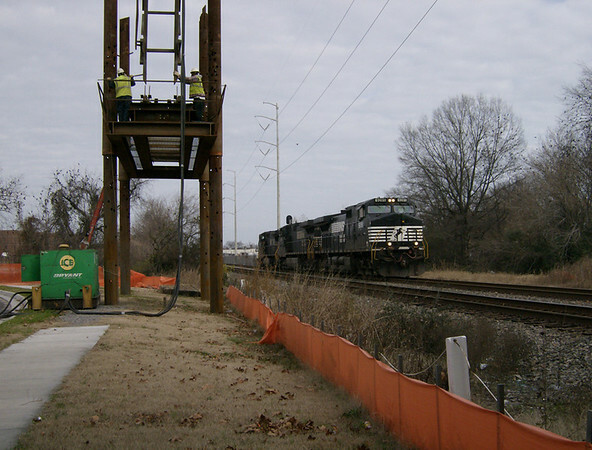 HRT expects the project to be operational in 2010. 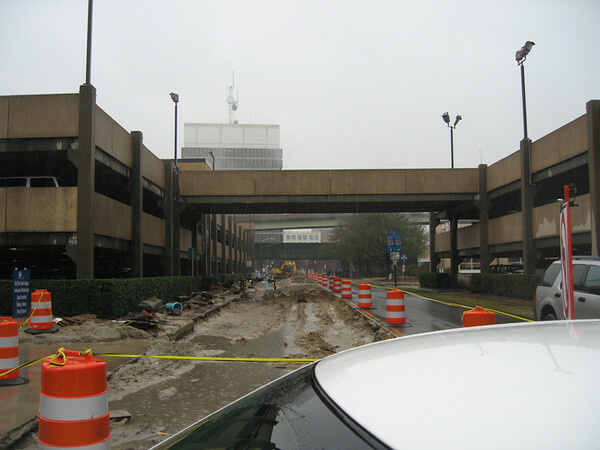 Enhance the continued development and redevelopment of the City of Norfolk. Improve the access, reliability, and linkage of the public transportation system. Create transit corridors that link residential, educational, employment and other activity centers. Contribute to the protection and preservation of the environment through a multimodal transportation system. 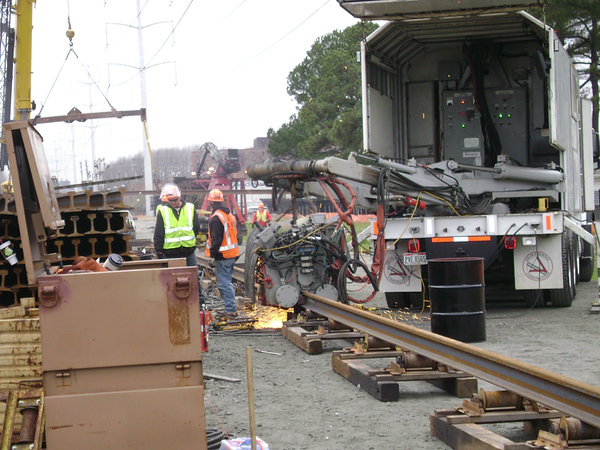 Major construction activity has died off in Jacksonville, but private investment in Norfolk is still�occurring, fueled by the city's committment to moving forward with light rail. 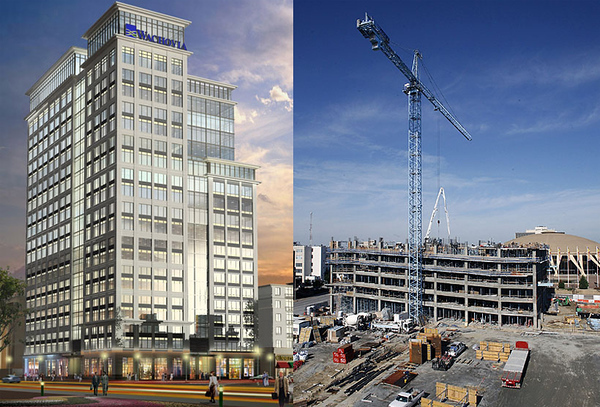 The Wachovia Center is�a $150 million mixed-use project in Downtown Norfolk that includes a 22-story office tower, 195 apartments, 50,000 square feet of retail space and 2,000 parking spaces. The Wachovia Center will be located near the Monticello Station. 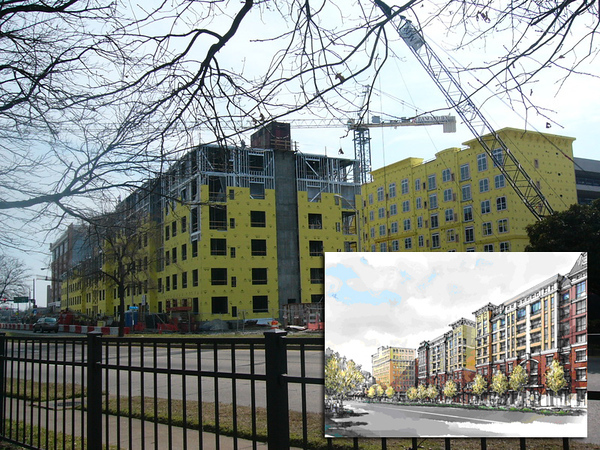 The Belmont at Freemason will soon be Norfolk’s newest luxury apartment community. Comprised of 241 units and 510 parking spaces, residents will have access to Granby Street, MacArthur Mall, Norfolk’s Scope, the Chrysler Museum, Chrysler Hall and the Harrison Opera House from the York Street light rail station. 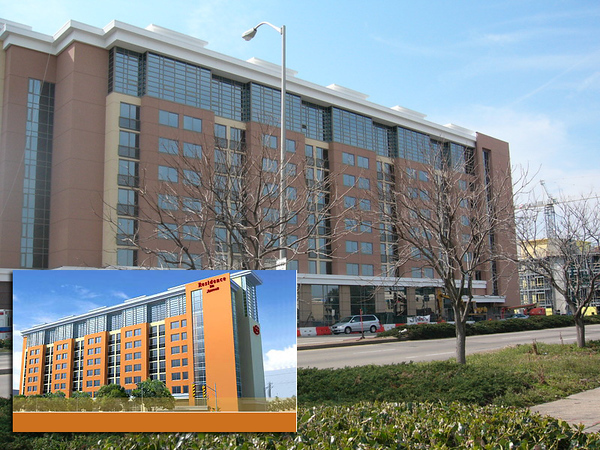 The Residence Inn by Marriott Norfolk Downtown, which will be located on Brambleton Avenue, will offer ideal accommodations for short-term or long-term stays. When traveling or relocating to Norfolk, patrons will find great amenities, such as spacious suites 25% larger than traditional hotels for extended stays. The Residence Inn will be close to Sentara Norfolk General Hospital, Children’s Hospital of the King’s Daughters, EVMS and Norfolk Southern. Norfolk's leaders have invested in the idea that rail brings many benefits to a city.� Jacksonville's leaders should do the same. Reduces Traffic Congestion. Light rail can move as many people as four to six lanes of interstate highway. Positive Economic Impact. A report commissioned by the Federal Transit Administration to understand the economic impact of public transportation found that there was a significant positive economic impact on jobs and business revenues. The study found that in the year following the transit investment, 314 jobs are created for each $10 million invested in transit capital funding. In addition, transit operations spending provides for a direct infusion to the local economy with more than 570 jobs created for each $10 million invested in the short term. Business Attractor. Almost half of the nation's Fortune 500 companies, representing over $2 trillion in annual revenues, are headquartered in America's transit-intensive metropolitan areas. Business Sales Gains. Businesses would realize a gain in sales of three times the public sector investment in transit capital - a $10 million investment results in a $30 million gain in sales. Regarding transit operations spending, businesses would see a $32 million increase in business sales for each $10 million in transit operations spending. Economic Development Generator. Rail lines are fixed, high-value assets. Developers are more comfortable investing capital into a system that will continue. Since 1977, when the first Metrorail station opened in Virginia, Metrorail has generated substantial economic benefits for the Commonwealth. By 2010, Metrorail will generate: $2.1 billion in additional Commonwealth revenues and net revenues of $1.2 billion (in excess of the Commonwealth contributions to Metrorail). Every taxpayer dollar invested in public transportation generates about $4 to $9 in economic returns, according to the American Public Transportation Association. Cheaper than Roadways. New urban highways cost as much as $100 million per mile, whereas the Norfolk light rail line costs about $31 million a mile. Saves You Money on Gas. Public transportation saves more than 855 million gallons of gasoline, or 45 million barrels of oil, a year – enough to heat and cool one-fourth of American homes annually, according to the Center of Transportation Excellence. Better for the Environment. Public transportation generates, per passenger mile, 95 percent less carbon monoxide and 92 percent less volatile organic compounds than passenger vehicles – and about half as much caron dioxide and nitrogen oxide. Traffic Congestion Costs Money, Transit Saves Money. Without transit, the nation's $40 billion in annual traffic congestion losses would be $15 billion higher. In fact, if all the Americans who take transit to work decided to drive, their cars would circle the Earth with a line of traffic 23,000 miles long. Americans lose more than 1.6 million hours a day stuck in traffic. Transit Reduces Family Spending Budget. Transportation accounts for approximately 17 percent of our Gross Domestic Product, which means transportation is critical to business and personal economic security. For American families, transportation represents 18 percent of household spending, the second largest expenditure after housing. Americans living in transit intensive metropolitan areas save $22 billion per year in transportation related expenses. The annual cost of driving a single-occupant vehicle is $4,800 to $9,700, depending on mileage. The annual average cost for public transportation for one adult is $200 to $2,000, depending on services used, according to the Center for Transportation Excellence. Increases Property Value. Properties located within a quarter-mile radius of a light rail station increase in value by up to 25 percent more than other properties, according to studies conducted by the Urban Land Institute. There are some exceptions, the studies show, such as properties next to Park and Ride lots. A viable mass transit system is one thing that all first class cities have in common.� While Jacksonville continues to sit on $100 million for rapid transit investment, cities such as Charlotte, Salt Lake City, Orlando, Nashville, Memphis and Austin have taken the bold step of moving forward.� If we don't act soon, our community will have to face the prospects of becoming America's largest city without viable rail-based transit options and the negative impact that will have within the business community and our region's overall standard of living.